every time i install this i cant reach webmail but i reach the admin console just fine. For a quick note, it might be useful to have some indication as far as what to replace with what. Such as were it says “example.local” I’m pretty sure I’m supposed to replace that with (servername). (domain) but then what would replace the “hostmaster” then, or do you leave it as “hostmaster” and fill in the “example” and “local” portions while setting up a nameserver and a MX record server? I guess my problem is that I’ve been tasked with building a sub-network, inside of a currently running network, I’ve been told all the ports, nameserver, and MX records have been setup on a server in the netwrok, outside of my sub-network, and have only been given the IP address for the server to use. So how do I direct my mail server to go outside the network and use an external nameserver and MX server? Everything I’ve tried results in host -t ns command finding the localhost as the mx record, but no NS records found. Sorry if my blog post above not clear and make you confused. Actually, bind DNS was installed in the same server with zimbra server in order to ensure that i can proceed the zimbra installation since my home lab do not have internal DNS to resolve mx record for example.local. Without proper mx record configuration, you wouldn’t be able to proceed successfully. In actual environment, DNS server and zimbra server should be running in different servers ip address and segment. In this case you can fit it to your own environment. 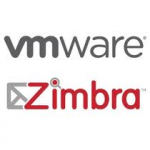 Make sure it can send email to local zimbra domain before you make it possible for external domain. My question to your issue. 1. Can your zimbra server resolve google DNS or any internet DNS directly ? 2. 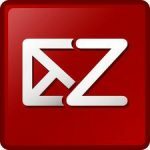 Do you plan to make your zimbra server as the final MTA to internet mx servers? Kindly refer to latest guide to setup DNS on CentOS 7.0/RHEL 7.0.